Adopting a cat is a gift you give yourself and your future feline. But you may be unsure about how to choose between the cats at your local shelter. Chances are there are many! We’ve compiled advice on picking the proper age and cat breed to match your lifestyle and interests. Are you thinking of adopting a dog but you’re not sure how to prepare? The process can be a smooth one as long as you are equipped with the right information (and the right treats!). We’ve compiled a list of things you should expect to do prior to and during the first week of welcoming your new pup into your home. 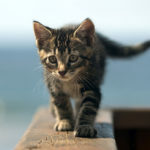 Are you a cat lover but still a novice at caring for felines? There are many mistakes that cat owners can make unless they are equipped with the right information. Read on to save you and your cat from experiencing these common “first-timer” headaches. 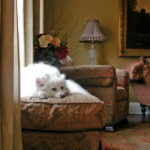 Do you want to welcome a pet into your home but are unsure if you are ready to make a long-term commitment? 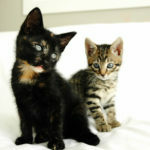 Fostering could be the perfect solution. We’ve answered some of the most frequently asked questions when it comes to providing foster care to animals that need it most. It’s important to bath your cat or dog when he is dirty. Giving your pet’s coat a thorough wash keeps his skin clean and free of parasites. However, your dog or cat may not get into the water willingly. 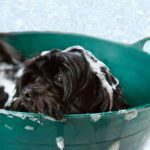 We’ve compiled a simple instructional on how to make bath time with your pet a relatively hassle-free process. If you have taken a dog into your home from friend, acquaintance, shelter, or a rescue, chances are high that the dog is considered a mutt. 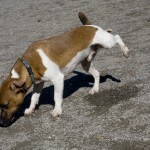 A mutt is mixture of breeds which takes them out of the purebred category. Purebred dogs have lineage that can be traced back. What if you are curious about what your mutt is mixed with? Knowing the breed of your dog can help you determine how big they will get, potential health issues, and identifying characteristics. The most accurate way to find out this information is through companies that take a sample from your dog that identify the potential breeds. Whether you have just picked up a brand new puppy or have given an old dog a new home, it’s not uncommon for dogs to have an accident in their new living environment. We’ve compiled some tips on teaching your new dog to eliminate in the right place every time. 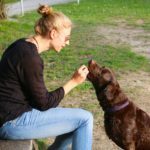 There are a host of foods that may wet your appetite, but leave your dog in pain and possibly in the veterinary hospital. We’ve separated human foods into categories of dos and don’ts. Read on to keep your pup from swallowing something he shouldn’t. While we humans know that brushing our teeth is important, our pets certainly don’t! 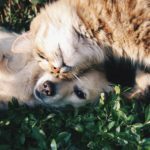 Many dental problems in cats and dogs can lead to life-threatening infections if left untreated. One study found that three out of four pets over the age of three already have dental disease. Yikes! 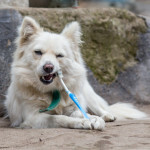 We’ve created a quick and easy instructional on how to brush your pet’s teeth.